February 26th I made my excuses and escaped to Yilan County ahead of weekend holiday traffic for a day of intensive birding far from my usual haunts. 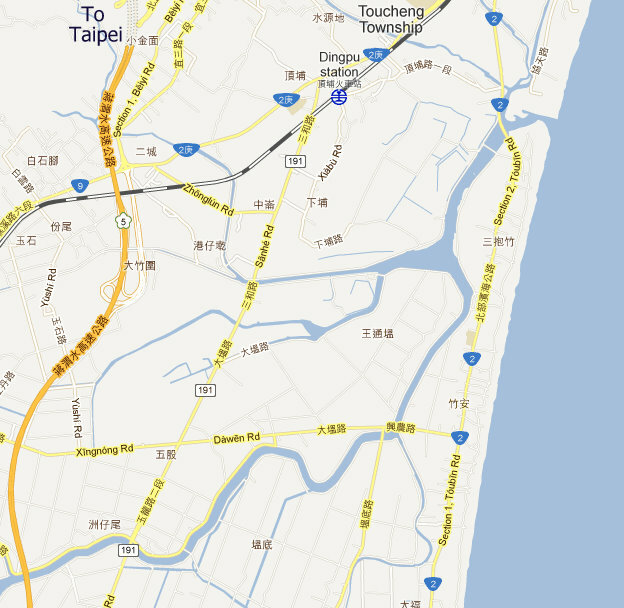 Yilan, situated in Northeastern Taiwan, is mostly lush rugged mountains, the rest is very flat rice fields decorated with houses and tedious towns. 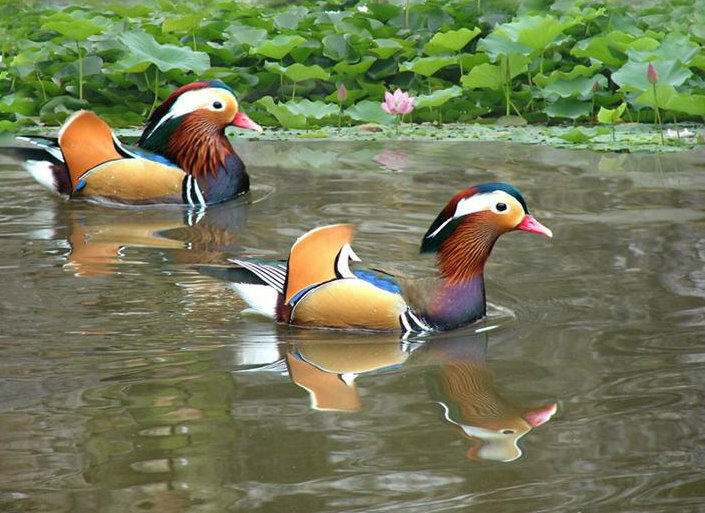 The coastal wetlands are some of Taiwan’s most important bird habitats. The road tunnel (Freeway #5) through the Xueshan mountain range makes it convenient to visit from Taipei - but remember, avoid times when millions of Taipei folk are doing the same thing. On this damp (Yilan seems to be always wet) and cool day I explored the wetland complex in the north-east area (east of #5), and north of the Lanyang River. The best locations were the various ponds, fields and drainage channels to the south of Toucheng Town and between roads #2 and #191. Many shorebirds to be seen. Highlights for me: 8 Black-faced Spoonbills, 1 Hoopee, 10, Vinous-throated Parotbills, 2 Water Rail, 5 Northern Lapwing, 1 Eared Grebe, 2 Purple Herons, 3 European Starling, 1 Ruff...and 2 vagrant Hooded Cranes (yes, was an undeniable twitch; near km mark 143 Road #2). After enough of the damp and cool plains I went to scout out the road towards bio-diverse Fushan Botanical Gardens. I’ve had repeated bad luck getting the (required) permission to visit Fushan - instead I had a quick look around Shuanglienpi (雙連埤). 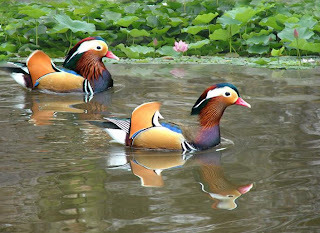 Mandarin Ducks - naturally occuring. At 400 meters elevation, Shuanglienpi (Shuang-lien-pi) is a wetland and small lakes surrounded by well forested mountains. If unable to get permission for Fushan (must apply online early - avoid weekends) I can recommend the drive to, and the walk around these very pleasant ponds. Various good birds around (Blue Magpies, Scimitar Babblers, Grey-throated Minivets, Maroon Oriole, Dusky Fulvetta, White-bellied Erponis) the highlight was a pair of wintering Mandarin Ducks. Silver-backed Needletail Hirundapus cochinchinensis "Endemic subspecies (H. c. formosanus)"